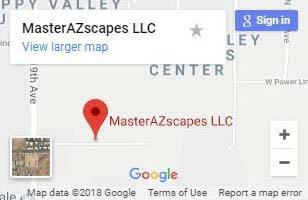 Here at MasterAZscapes LLC we’re your source for artificial turf, Phoenix residents depend on. We offer a wide selection of artificial turf varieties with competitive pricing. Our landscapers can help you identify what you’re looking for in an artificial turf. These can help your home maintain the look of lush grass year round, without the need for regular watering and maintenance. 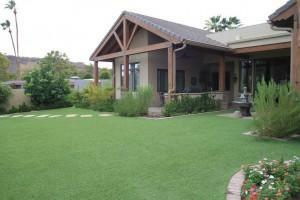 We install high quality artificial turf, Phoenix homeowners can be proud of. With our turf installation guarantee, you can be sure your turf will be installed correctly for a lawn that lasts. Artificial turf can be a great solution for property owners who are tired of lawn maintenance. This is a great option for long term relief. As home owners get older, maintaining a lawn can become increasingly more difficult. 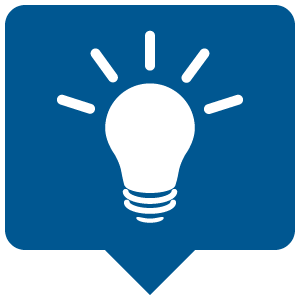 They have to pay for services or do it themselves, and this can aggravate health conditions and pose a risk for injury. With artificial turf, Phoenix residents can avoid these chores entirely and still enjoy a lush green landscape. Get the eco-friendly option that saves on water! Water conservation is a growing concern, and it isn’t going anywhere. Though natural lawns are a nice luxury, they aren’t environmentally friendly. You won’t find grassy plains in the Phoenix landscape for a reason, it doesn’t support them naturally. Keeping a lawn green takes a major toll on natural resources, and water is only going to get more expensive. Getting a headstart on conservation with artificial turf, Phoenix property owners can actually increase the long-term desirability of their properties. With natural landscaping you can have a gorgeous, low maintenance landscape that combines natural features, local plants, and artificial grass. We install artificial turf just the way you want it! Artificial turf can be installed in any configuration, and made to match your property. We can even install putting greens that never go brown. Now is the perfect time to enjoy the benefits of artificial turf, so what are you waiting for? Call (623) 780-0474 or Contact Us today for artificial turf in Phoenix. Arizona’s summer heat can make synthetic turf hot to the touch for little feet. Make sure to ask about our synthetic turf cooling system and the difference it makes for your family’s enjoyment.